East Side Games travelled across the ocean this year to attend Casual Connect Asia. We battled against the odds of jetlag and airport waiting rooms in order to share our latest project, Dragon Up! Match 2 Hatch. Heck, we even took home the Audience Choice Award! Dragon Up! Match 2 Hatch is a follow up to the critically acclaimed indie hit, Dragon Up! It’s been a long time since the original was released on iOS and Facebook, and now we’re taking the award-winning IP in a new direction. The genre now ventures in to the fantastical land of adventure puzzle games, using a simple and rewarding match-two mechanic. Dragon Up! 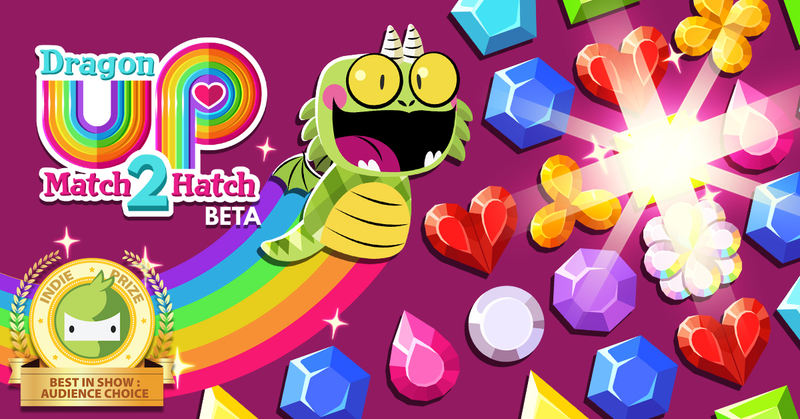 Match 2 Hatch features dragons, special abilities, hatching eggs, and tight puzzle mechanics. It’s a game that doesn’t shy away from challenging the player while trying new things. Currently a beta is available on Android in the Google Play Store. This bubbly little matching game, which puts slick animation, vibrant settings, and skillful puzzles in the spotlight, was in great company at this years Casual Connect. Developers from 52 countries submitted games, and out of 100 other amazing finalists, Dragon Up! Match 2 Hatch came out with the Best in Show: Audience Choice Award. We are truly humbled to see our title shoulder to shoulder with some of the industry’s best indie developers. We here at East Side Games want to thank the Audience for voting for our title and supporting us. It was a fantastic trip, filled with great people and great games. We can’t wait to bring our future titles to Casual Connect in the years to come.